PAC-MAN is an arcade game developed by Namco and first released in Japan as Puck Man in May 1980. This game is is regarded as one of the most influential video games of all time, for a number of reasons. Its title character was the first original gaming mascot, the game established the maze chase game genre, it demonstrated the potential of characters in video games, it opened gaming to female audiences, and it was gaming’s first licensing success. 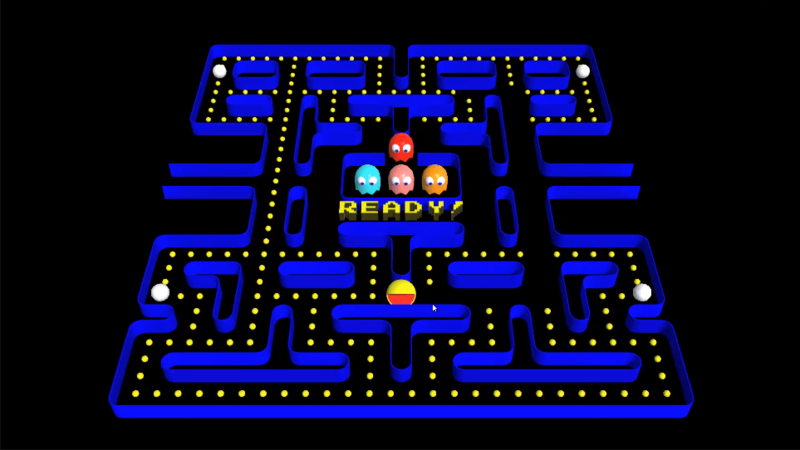 The goal of the game is to accumulate points by eating all the Pac-Dots in the maze, completing that ‘stage’ of the game and starting the next stage and maze of Pac-dots. The project will show how the game processes and ends by interpreting in a different view and by showing the game in a various viewpoint. People who are interested in games or PAC-MAN.